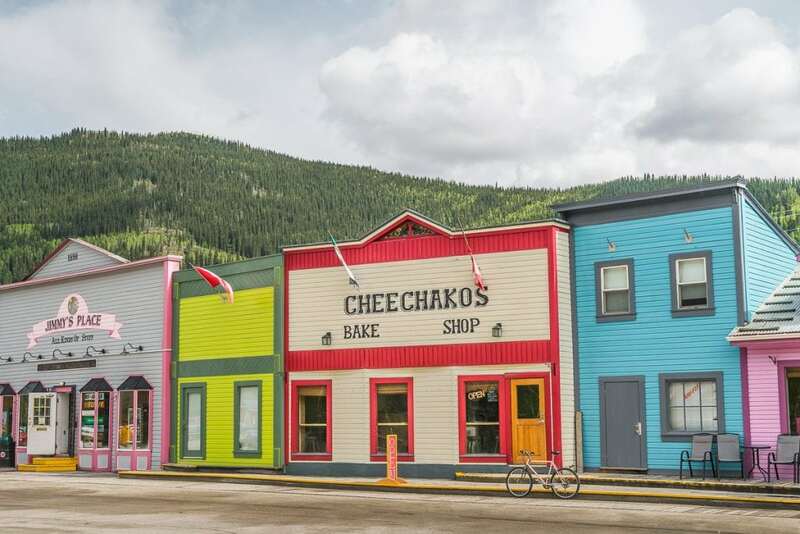 Located in one of Canada’s most remote territories, Dawson City was once the epicentre of the Klondike Gold Rush. 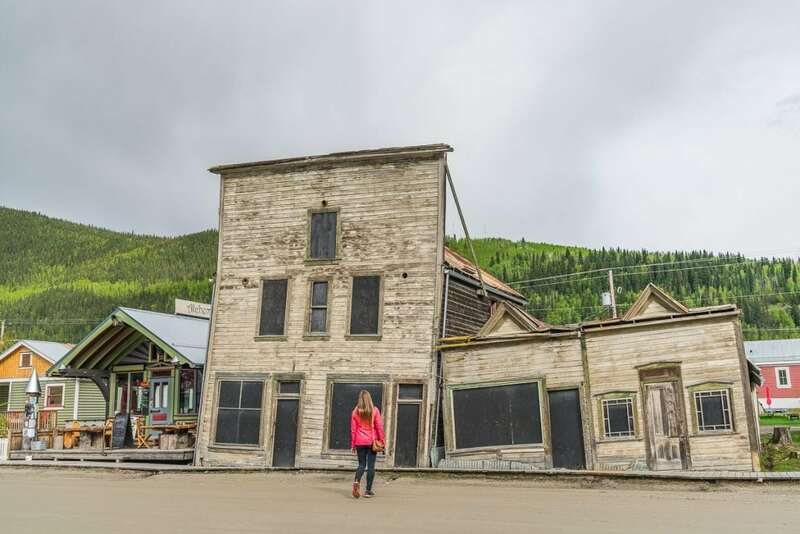 Dawson City, a place where men and women found and lost fortunes, inspired writers such as Jack London and Robert Service to pen captivating stories, and pushed stampeders to their limits in search for gold. These days, the tens of thousands of prospectors have long left the fading riches around the mighty Yukon and the Klondike River. What’s left is a historic town, with around 1500 permanent citizens, inviting you to go back in time and catch a glimpse of the city’s past. Colourful frontier-style houses line the unpaved streets, some in excellent condition, others slanted sideways on the brink of collapse. 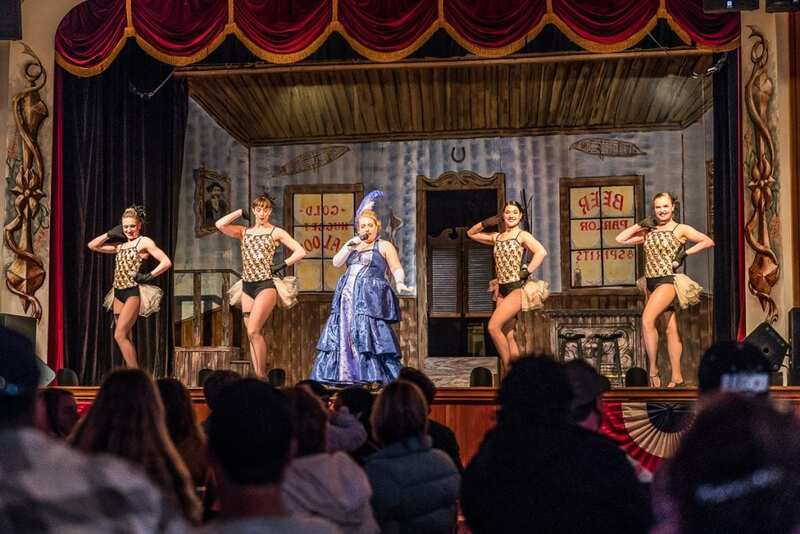 While walking around the city, you’ll feel like you’ve stepped back in time, ready to pick up your panning equipment for a day at the creek, or on the way to a Vaudeville performance at the Opera House, one of the several theatres around the city. 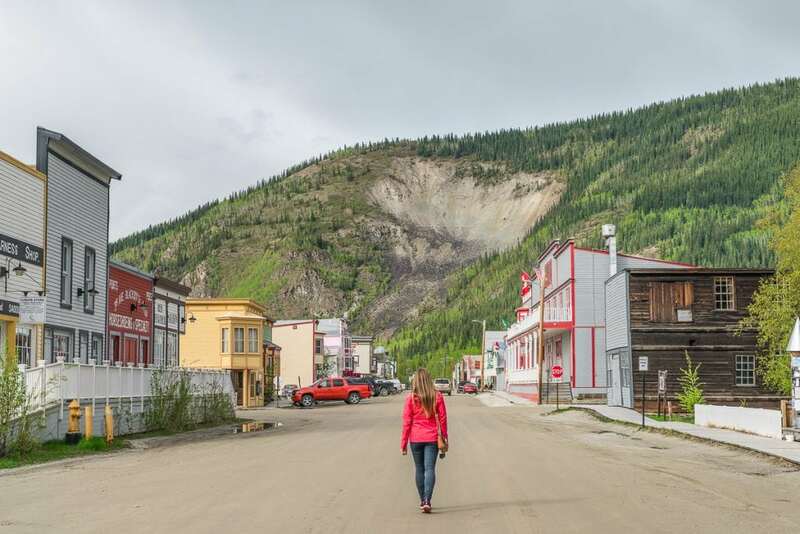 If you feel inspired to find out more about this fascinating city, this Dawson City travel guide will help you plan your next trip to the Yukon. Today, it doesn’t take you several months of crossing mountain passes and floating on rivers in treacherous conditions to reach Dawson City. There are now a variety of (easier) ways to visit the Yukon city. You can either travel on the North Klondike Highway, which will take you around five to six hours from Whitehorse or travel from Alaska on the unpaved Top of the World Highway. Bear in mind the US/Canada border crossing is only open from May until September. If you’re taking the route through Alaska from Whitehorse, you’ll pass Kluane National Park, one of the most remote parks in Canada. 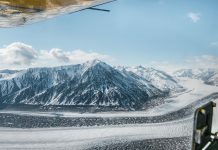 Have a look at our stunning flightseeing tour in Kluane. If you don’t have a car, you can always take the bus! The Husky bus is a reliable service transporting locals and tourists between Whitehorse and Dawson City. The trip takes 7h, stopping at a handful of stops along the way, and costs $119 one way. It does not run during the winter months. The easiest and quickest way to get to Dawson City is by plane. Most routes are via Whitehorse. Whitehorse is a 2h15 flight from Vancouver, and then another 2h to get to Dawson City. I highly recommend Air North for your trip. In case you’re flying from Europe, between May and September, you can take a direct flight from Frankfurt, Germany with Condor Air. 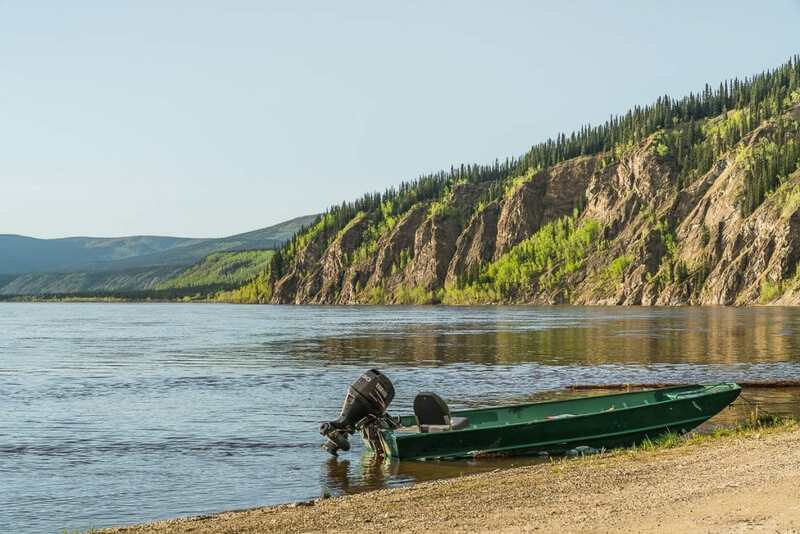 If you feel adventurous, you can always make your way to Dawson City by canoe or kayak. Check out these river adventures to find out more. We visited Dawson City at the end of spring, which is a great time to travel around the Yukon. The temperatures are mild and the days are long, which gives you enough time to explore. Most summer attractions and tours operate from mid-May until September, with the least amount of crowds in May and June. You also won’t be plagued by mosquitoes and bugs too much in spring. If you prefer a winter holiday, Dawson City can be chilly in winter, sometimes reaching -40. However, there are many fun activities to enjoy during the cold months. Scroll down to find out more about winter activities around Dawson City. We visited Whitehorse, the capital of the Yukon Territory, at the end of autumn. 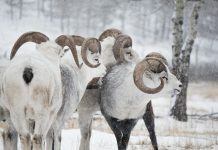 Have a look at our Whitehorse travel guide for more info. 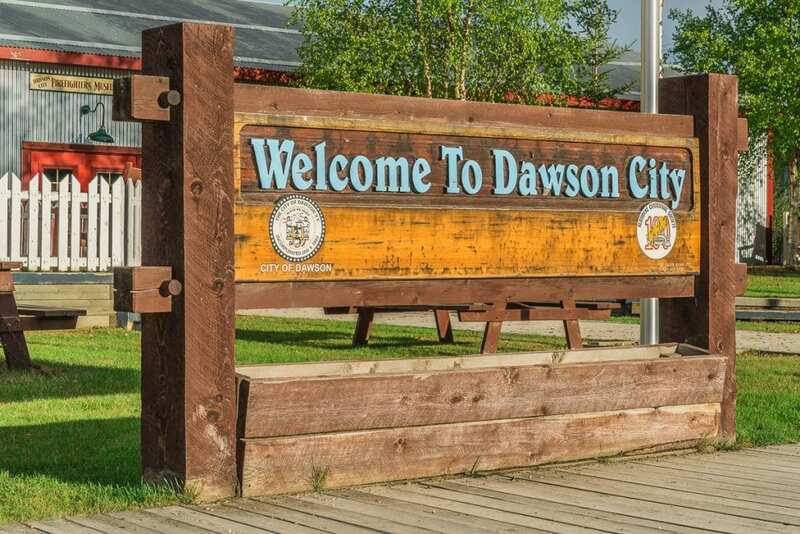 First-timers in Dawson City will want to ensure they stop by the Visitor Centre. 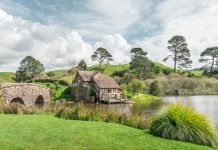 With short yet informative movies covering nearby attractions and local history, as well as information available in multiple languages, it’s a great starting point to guide you before you set off exploring on your own. Tickets for many attractions and sights can also be purchased here. Although this is a helpful place to visit prior to exploring, it is also a good spot to regroup when you need to sort out your next steps, since they have free WiFi. This cultural center dedicated to the Tr’ondëk Hwëch’in heritage offers a direct pathway to educate patrons on the customs, performances, and practices of this First Nation tribe. It’s also a meeting place for members of the tribe, and the center hosts exhibitions as well as tours during the summer months. If you don’t want to leave without something to commemorate your newfound knowledge of a First Nations tribe, swing by the gift shop for a wide array of authentic Tr’ondëk Hwëch’in artisan work, like clothing, artwork, or music. 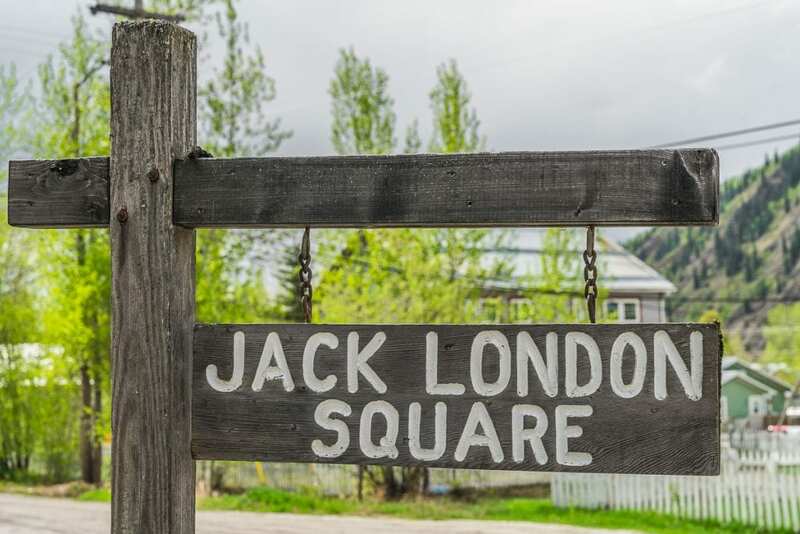 For fans of American author Jack London, this museum, while small, is a nice connection to the famous writer’s life whilst he lived in the Yukon. Explore notable museum sights such as a reconstructed Gold Rush-era cabin – which gives insight into London’s life when he arrived during the Klondike Gold Rush, as well as the abandoned cabin’s rediscovery in 1936. The museum offers an interesting tour, where guides will walk you through the story of Jack London’s Yukon life. Perhaps the harsh natural conditions of the Yukon inspired many to write, because this particular attraction is dedicated to prolific Canadian poet & writer, Robert Service. 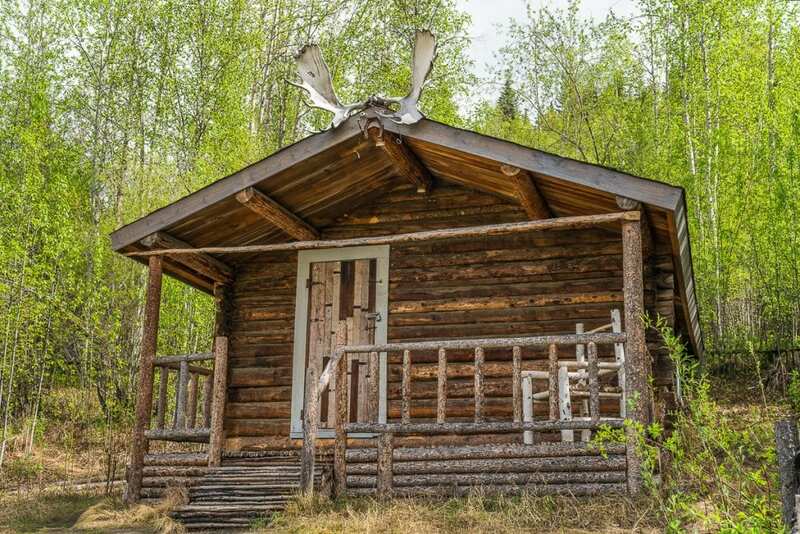 During his time working as a bank teller in Dawson City, he would wake up extra early in this cabin to carve out time to dedicate to his writings. The cabin is open for self-guided tours between March and September, retaining many of his original possessions like oil lamps, desk, writing materials, and other furniture and living materials. The city’s primary museum on the history of the Klondike Gold Rush can’t be missed. 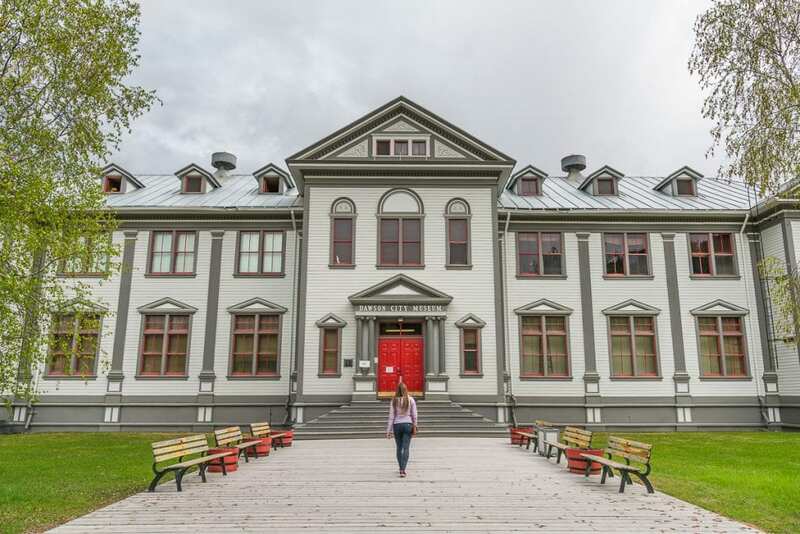 Housed in a restored administrative building, this historical museum offers two galleries. The North Gallery explores the history of Dawson City in the era of the gold rush, and explores how this part of its history was a defining time in its development. The South Gallery tells the story of the Athapaskan people, the Tr’ondëk Hwëch’in people -meaning ‘hammered water’ – and their lifestyle and culture, decades before the first gold was ever found. Want to try your luck in Canada’s oldest casino? Diamond Tooth Gerties Gambling Hall will give you your fill of both modern fun and history-buff satisfaction. Named for a prominent dancer, Gertie Lovejoy – who wore a diamond on her front teeth – this isn’t your average casino. Live entertainment is offered in the same room where patrons can gamble & buy a drink. These performances, offered three times nightly, are presented in the same style as the gold rush era for an added touch of authenticity. 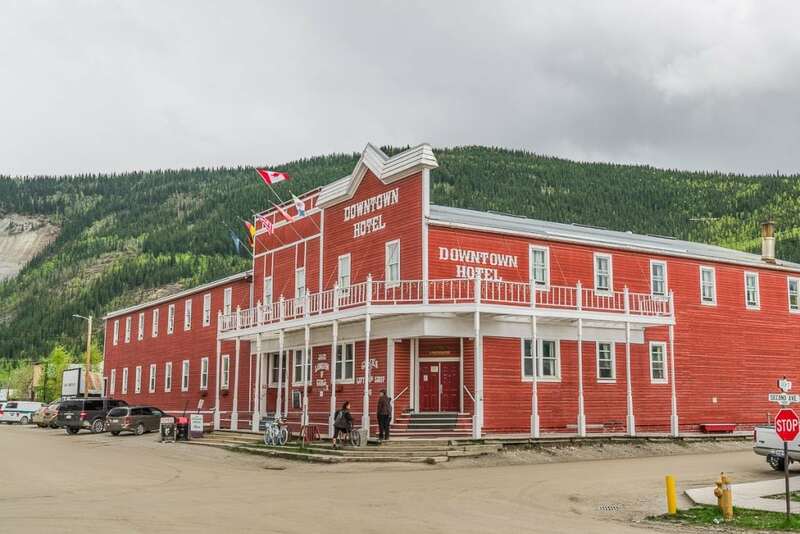 As a heritage town, Dawson City works with Parks Canada to both present as well as preserve the rich tapestry of history that defines this part of the Canadian wild. There are thousands of artifacts not often seen by the public, as they are not in the museums around the city. Through this guided tour with Parks Canada, visitors are allowed sneak peeks at artifacts normally not available to the public. They can even handle some of these items, all while being educated on their historical significance and the important role that this government department plays in the preservation of historical collections. River tour anyone? This paddle wheeler – the only one in operation in the Yukon – will take you down the Yukon river and through the stunning North Canadian wilderness. The knowledgeable tour guides will teach visitors about historical sites along the river, particularly the infamous Klondike Gold Rush. If you’re lucky, you might even spot some wildlife. Even in summer, boat rides can get a little chilly—fortunately, there are warm drinks available from the bar on the top level. 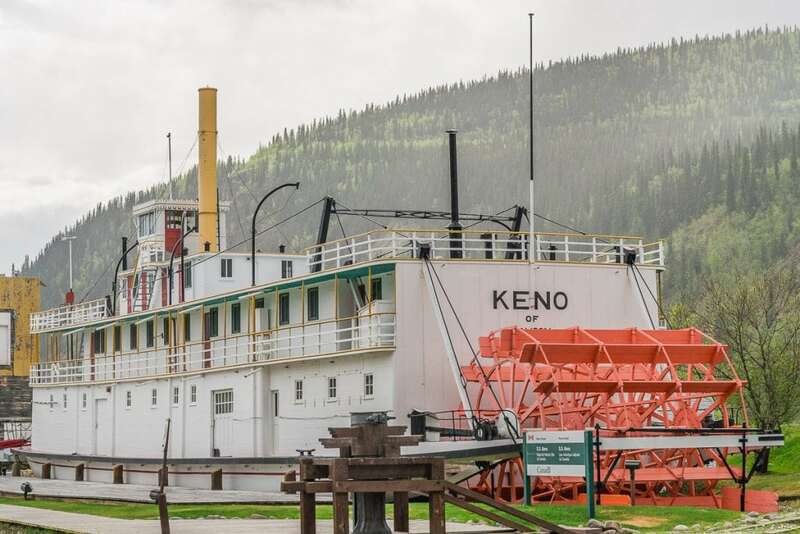 Another historical riverboat, the SS Keno is a notable sight worth seeing when you visit Dawson City. In such a remote part of the wilderness, these wood-burning paddle wheelers were a valuable connection to the rest of the world, transporting everything from people to supplies and everything in between, like gold dust. Though you may not want to do this one at night – unless you enjoy feeling spooked – visiting historical graveyards is a great way to immerse yourself in the history of a place. Among the many prominent cemeteries, patrons can visit the Police Cemetery (where RCMP were buried between 1896 and 1936), the Jewish cemetery, and more. The walking tour also points out notable burials, such as famed prospector and “King of the Klondike” Alexander McDonald, and Percy “Iron Man” DeWolfe. Not for the faint of heart, the Sourtoe cocktail is a city tradition. Established in 1973, the “club” now has over 100,000 members. At the city’s Sourdough Saloon, a (real) dehydrated toe is dropped into your drink. You must finish the drink and the toe must touch your lips. The legend of the toe dates back to the early 1900’s, when a rum-runner, on the run from police, lost a toe to the elements after cutting it off to prevent gangrene. The cutting process was helped by a swig of strong whiskey, and when the abandoned toe was found years later in a cabin, the tradition was established! This annual late-summer festival consists of several days of fun and activities for families and groups. 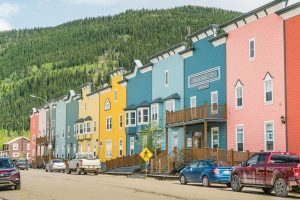 Since Dawson City became famous for the greatest gold stampede in history, the city has endeavored to preserve its rich past and commemorate this defining time in Canadian history. The Discovery Days festival boasts exhibitions, an art fair, a parade, and more. Festival-goers can even see a condensed performance by the Diamond Tooth Gerties dancers, or partake in a golf tournament. Connecting Dawson City and Chicken, Alaska, this breathtaking highway winds through a high-altitude mountain range, guaranteeing one of the best views you’ll ever have from a car. The northernmost country border crossing in North America, this highway closes once the snow falls, at which time you can no longer cross into Alaska. Being in a remote region, be prepared for long stretches of complete wilderness between rest stops, refuel stations, or other people. And don’t forget to bring a camera. If you have an explorer’s spirit, then this sight is for you. Embedded in the trees along the Yukon river line are the remains of many wooden paddle wheelers. These impressive boats – at one time the primary mode of transport in this distant, remote region – became obsolete when roads were built and ground travel became accessible and popular. 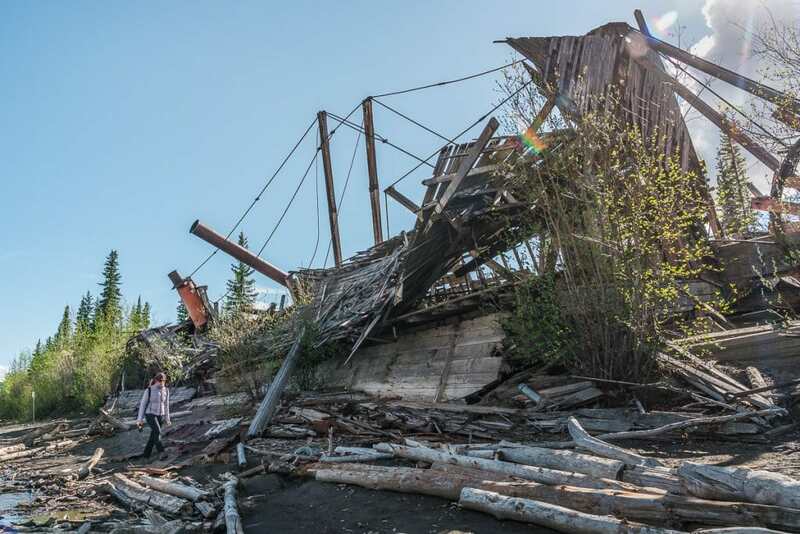 Feel free to wander through the wooden graveyard and explore the wreckage, but do so at your own risk; this site is not monitored by officials. As far as mountain viewpoints go, this is one of the best in the region and you can’t miss this sight if you’re passing through Dawson City on a clear day. 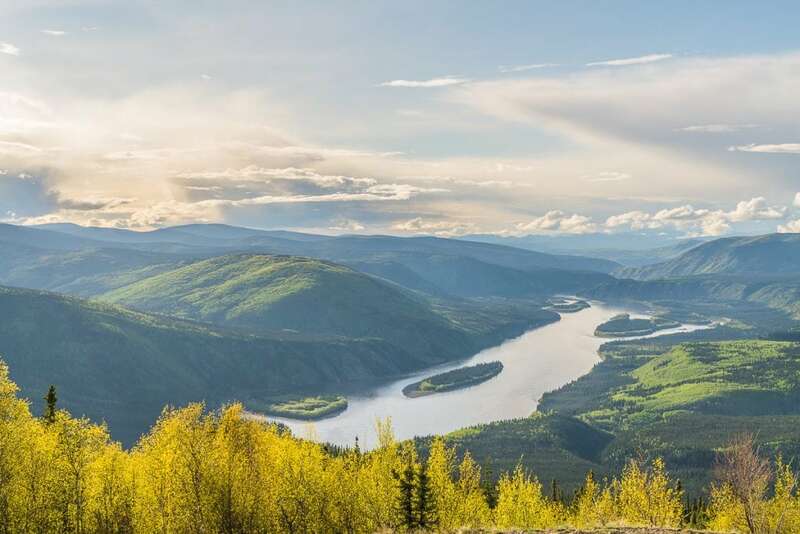 Accessible by road or via hiking trail, the Midnight Dome boasts a jaw-dropping elevated panoramic view of the region below, including the Yukon River and Klondike Valley. You can even see the Ogilvie Mountain Range on the distant skyline. If you’re really lucky and play your cards right, you might even witness the Northern Lights. Visit the place where it all started and get a feel for the historic sequence of events that followed its discovery. On August 17, 1896, the first piece of gold was found in Rabbit Creek (now Bonanza Creek), a discovery that spurred the greatest migration in history and put this remote region on the world map. You can walk the Discovery Trail and learn about the different mining methods available at the time. As the years passed, technology evolved. From the early 1900s, electricity-powered gold dredge machines churned through the Yukon River, dredging up all the gold they could find and moving at a snail’s pace of half a mile per season. Eight stories high and almost as large as a football field, Dredge No. 4 was the largest of its kind in North America. Though now retired from duty, she is open for tours and remains a must-see for all visitors of the city. 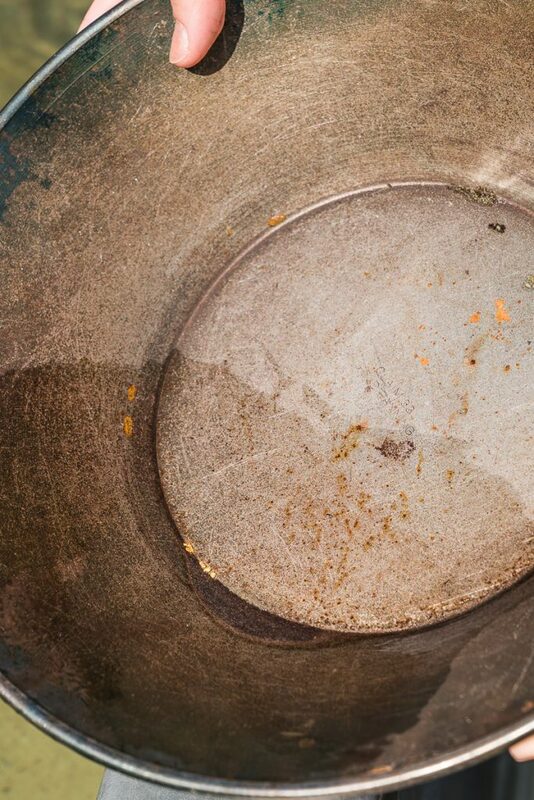 It’s one thing to learn about panning for gold, but another thing entirely to try it for yourself. 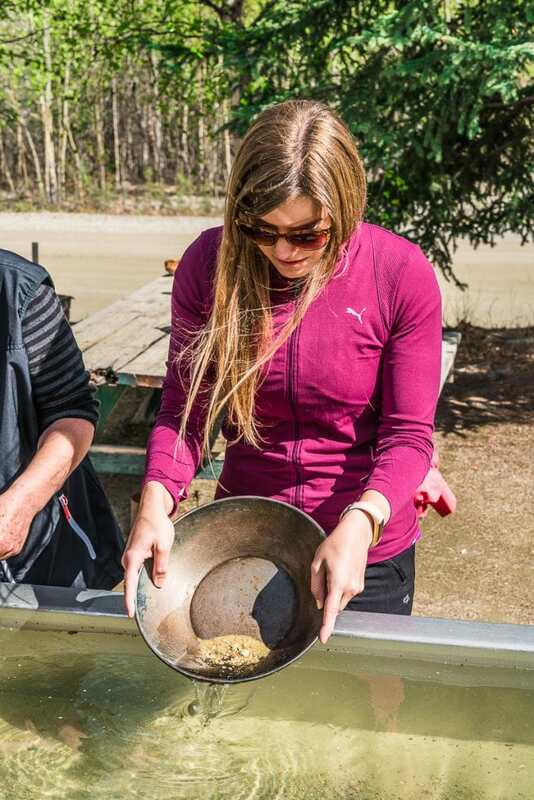 At Claim 33, experienced and knowledgeable staff will teach you real “tried and true” techniques for gold panning, and visitors will come to realize the amount of patience and time required to procure even the smallest amount of gold. You’ll then get to apply your newfound expertise to your own gold-mining experiment, and can even take your newly-mined gold home in a little vial if you so desire. This is one for all the hikers, campers, and general outdoor aficionados. Tombstone Territorial Park covers 2,100 square kilometers, in which towering rugged peaks and areas of permafrost are dominant. Many protected species of wildlife inhabit this region, including over 150 species of birds. 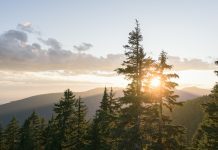 If you’re keen on spending a few days, lakeside backcountry camping is a pastime enjoyed by many and the park offers three campgrounds: Grizzly, Divide, and Talus Lakes. When in Rome, do as the Romans do. No trip to the Great North would be complete without partaking in the local form of transport. Dog-sled outings are available in the frosty winter months for visitors of all ages and skill levels, and are an unbeatable way to experience the Arctic way of life. 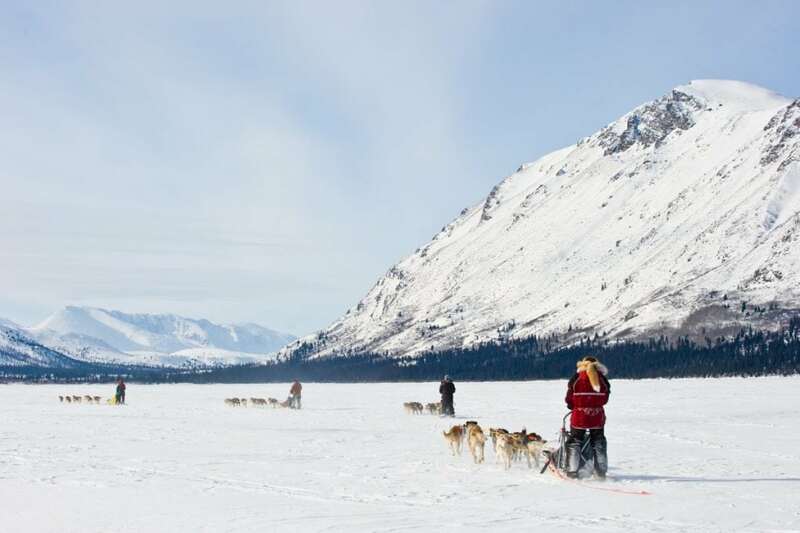 Dog-sledding is also a great way to get unparalleled views of the natural beauty of the far north, and not many people can say they’ve done this incredible activity. 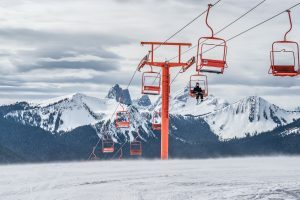 Another great way to get around in deep snow – that also can’t be beat for fun points – is snowmobiling, and in a place like the Yukon there’s no shortage of places where you can sign up for this activity in the winter months. 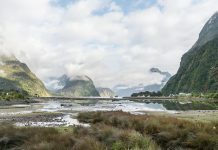 From rentals to tours, there are different options for all who want to get out into the wilderness and experience the awe-inspiring terrain firsthand. 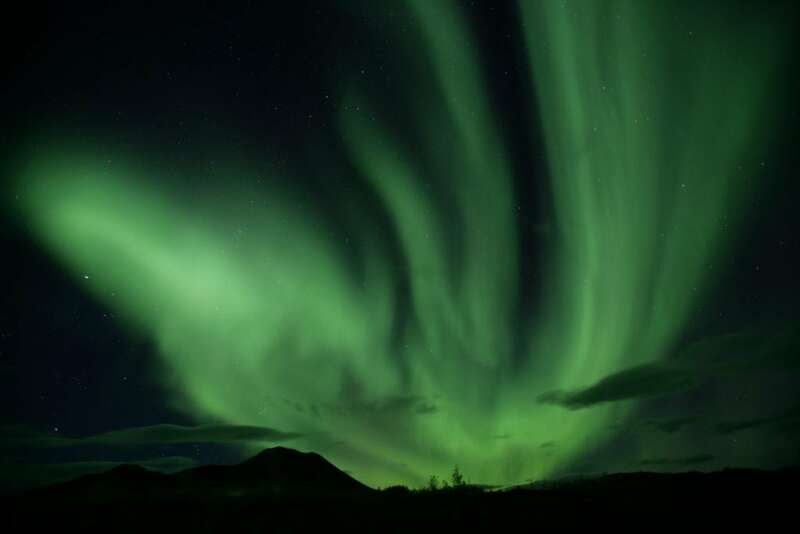 Arguably one of the most famous sights in the far north, the Northern Lights are a wonder of the natural world and fortunately, something commonly seen from Dawson city and the surrounding regions from as early as late summer until the spring. They are generally visible as soon as darkness falls, and can be seen through the night and into the early morning, making early wake up calls a magical and astonishing way to start a new day. This ultra-famous dog sled race, where competitors travel by dog sled from Whitehorse to Fairbanks, Alaska in only 10 days, is an event not many people can witness in their lives. But if you happen to be in the region at the right time, you can take a tour that follows along with the racers from Whitehorse to Dawson City, and even experience the thrill of learning how to dog sled yourself! 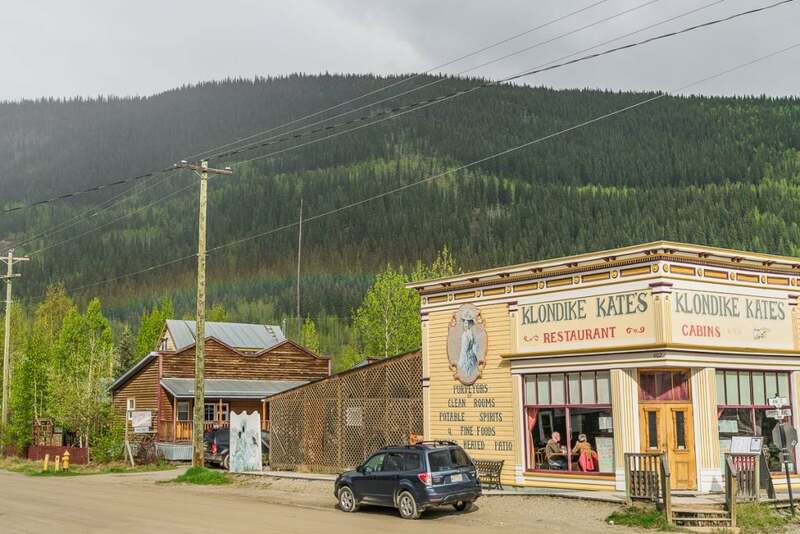 Set inside an authentic heritage building dating from the Gold Rush era, Klondike Kate’s is a must-visit if you pass through Dawson City. Using local ingredients often supplied by local residents and restaurant-goers, this delightful saloon restaurant is a city staple. Mediterranean cuisine meets cozy bar in this local tavern. Grab a few share plates, a drink or two, and relax with friends in this laid-back, friendly bar that suits any occasion. In the wintertime, relax by the warming fireplace, or on the sun-warmed patio in the summer months. Want a cocktail like no other? Be sure to hit up Bombay Peggy’s. The pub, adorned with art and beautiful wooden interiors, is an easygoing spot to let your day melt away with friends over a martini or two. If you’re there in the summer, don’t miss the live music! Everybody loves a good bakery, and whether you’re after a full breakfast or an on-the-go muffin, Cheechako’s has you covered. From bacon and egg sandwiches to full Eggs Benedict, this is a perfect morning stop to fuel you up for a day of sightseeing. Looking for a laid back lunch spot? You’ll find exactly what you seek at Alchemy Café. Made with local, fresh ingredients (and a little love), this charming café is chock full of great dishes. For dessert, don’t skip the orange cake—a firm favourite. A warm, friendly atmosphere awaits you at Riverwest Bistro. From homemade soup to fresh burgers and wraps, this easy and chill café is a great refueling stop before you head back into town for a day of exploring. Or sip a fresh roasted coffee from the upper deck. If you’re seeking something sweet, stop in at Red Mammoth for a fresh baked pastry and a coffee. The lemon loaves are particularly popular, but if you’re feeling like something a little more savory, you can’t go wrong with hot soup and fresh bread.